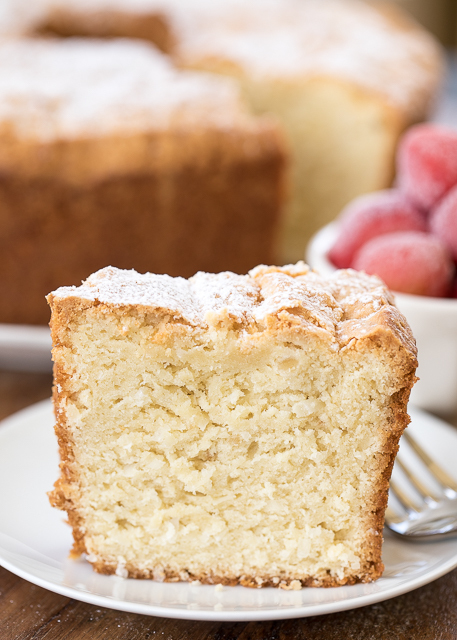 Coconut Cream Cheese Pound Cake - a favorite! SO delicious!!! Can make ahead of time and store in an air-tight container or even freeze the cake!! Butter, shortening, cream cheese, sugar, eggs, coconut extract, vanilla, flour, baking soda, salt and sweetened coconut. Everyone raves about this delicious cake! SO easy and it is a real crowd pleaser. Great for parties, potlucks and a great homemade gift. 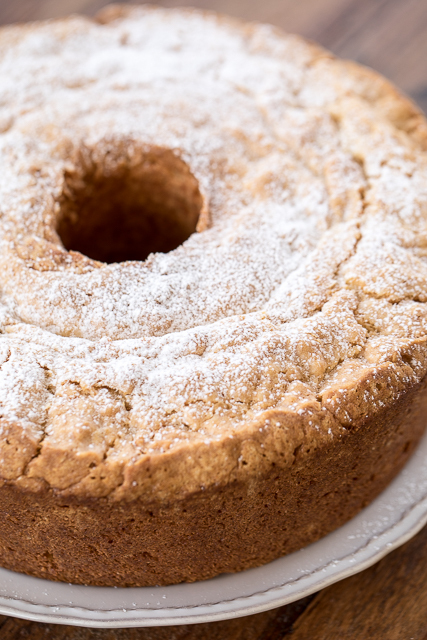 Pound Cakes are one of my favorite desserts to make. They are so easy in my KitchenAid mixer and everyone loves them! They also freeze well! 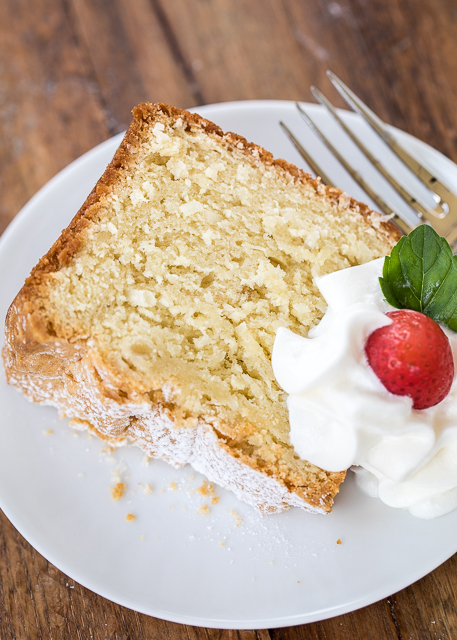 I made this Coconut Cream Cheese Pound Cake for a cookout and everyone raved about it! We served it with some whipped cream, ice cream and berries. You can even drizzle it with a little chocolate or caramel sauce. Heaven! 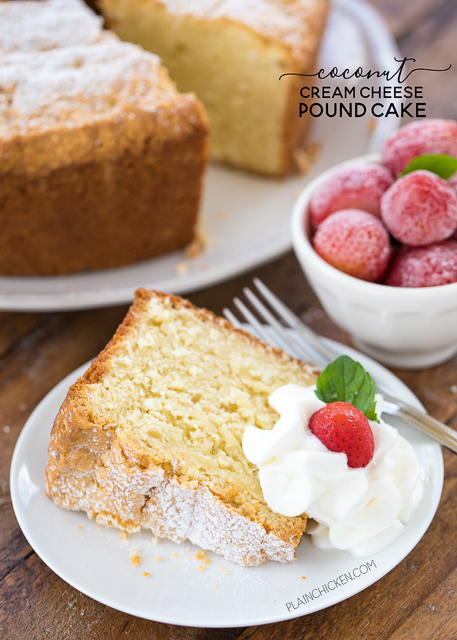 This Coconut Cream Cheese Pound Cake is so delicious! I mean, I love just about anything with cream cheese. You can make this a day or two in advance of serving. It will keep great in an air-tight container. This is perfect for all of your upcoming cookouts and holidays! It also makes a great homemade gift!! Preheat oven to 325ºF. Grease and flour a 10-inch tube pan. Set aside. In the bowl of an electric mixer, beat together butter, shortening and cream cheese. Gradually add sugar, mixing until fluffy, about 5 minutes. Add eggs, one at a time, beating just until yolk disappears. Add coconut flavoring and vanilla extract. Combine flour, baking soda and salt. Gradually add flour mixture to batter, mix just until blended. Stir in coconut. Pour batter into prepared pan. Bake for 1-1/2 hours. Remove from oven and cool in pan for 15 minutes before removing from pan. I love coconut, so I guess I will be making this one! !